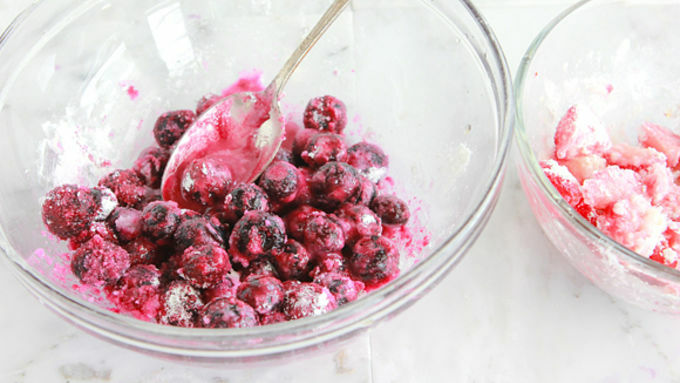 In a small bowl, whisk together powdered sugar and milk (add more milk, if needed, to create a thick-but-runny glaze). Tint to desired color using Betty Crocker™ food coloring gels. 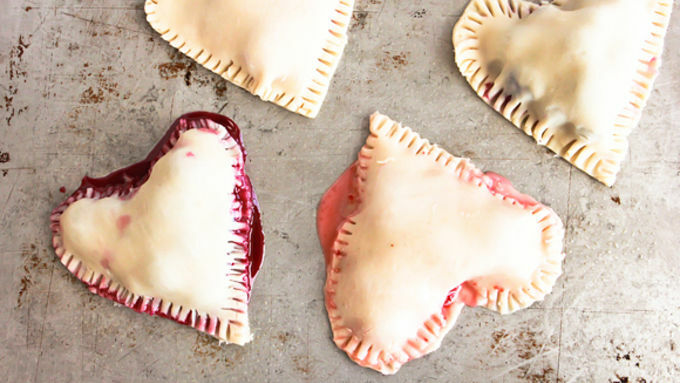 Transfer frosting to a plastic bag, snip the corner from each bag, and drizzle over hand pies. Make love for Valentine's Day. 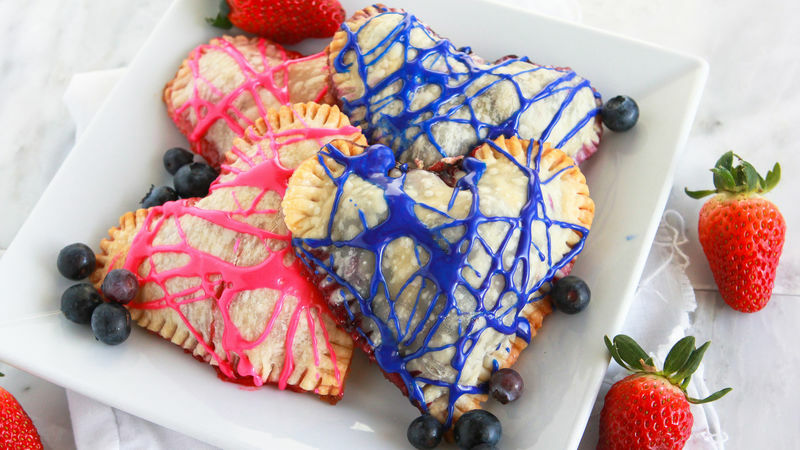 It's easy with this recipe for homemade strawberry and blueberry hand pies! 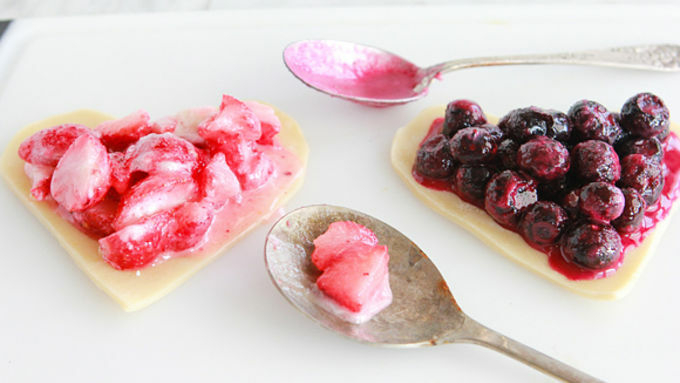 Sweet mounds of fruit are embraced between two layers of pie crust in this quick, simple, and totally stunning recipe. Prepare yourself to fall madly, deeply, into dessert. Strawberries are red…. 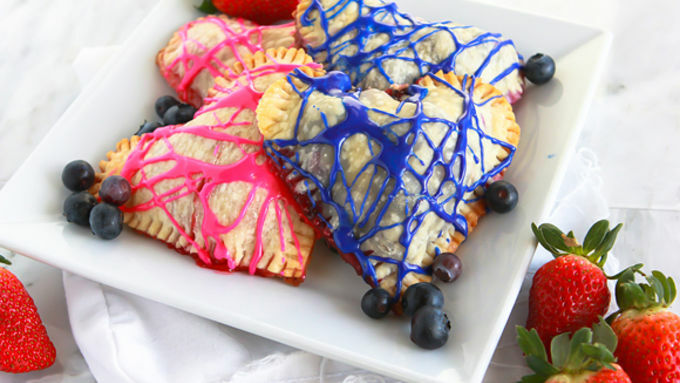 Blueberries are blue… These four ingredients are all you need to make fruity hand pies for you! (Or someone you love.) For real, there's not a easier way to get your Valentine's bakery-snakery on than with this recipe. What's that? Heart palpitations of happiness? Yeah, we know. We can't be held responsible for medical bills resulting from general hand pie awesomeness. Who loves ya, baby?